If your hips are troubling you, a hip replacement can help. It sounds drastic and scary, but for people suffering from serious medical conditions like rheumatoid arthritis, oesteoarthritis or a thigh bone fracture, it can be the only way to regain their mobility. Why are Hip Replacements Necessary? Osteoarthritis - This occurs when the connecting tissue between the joint is damaged, which then encourages the bones to rub against each other, and this causes pain. Rheumatoid arthritis - This occurs when the body's immune system fights against the joint's lining, which makes the joints painful and stiff. Septic arthritis - This occurs when an infection affects the joints. Thigh bone fractures - This causes a decrease in blood to the head of the thigh bone. 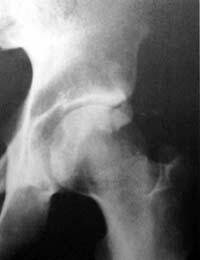 Paget's disease of bone - This has an effect on how the bones grow and can cause them to weaken or even deform. Developmental dysphasia of the hip - This occurs when the ball and socket of the hip joint cannot develop properly. If the condition isn't treated, deformity is not uncommon and difficulty walking can happen. Osteoporosis and hip joint fractures - This causes the bones to become thinner and less strong as some of the bone cells can no longer convert old bone into healthy new bone. A straightforward hip replacement replaces both the hip's natural socket and the rounded ball at the head of the thigh bone, which simulates the hip's natural movements. It is possible to have an alternative operation which involves inserting metal plating into the hip. This procedure generally involves less artificial parts being put in the hip, and there is less bone taken out. It is known as Metal on Metal (MoM) hip resurfacing. If you are diagnosed with a severe form of hip disease, hip resurfacing may be a better option for you. It is thought to be a more permanent solution than a hip replacement, but it is a relatively new concept and the full effects aren't yet fully known. Both hip replacements and hip resurfacing are carried out under anaesthetic. You may be put under general anaesthetic (in which case you will be temporarily put to sleep) or a spinal anaesthetic (which is similar to an epidural and will numb the feeling in your lower body). With a spinal anaesthetic, you may also be sedated. Joints can become loose after a decade if the artificial parts become loose or if the bone around them thins. As artificial parts wear, minute bits can be absorbed into the tissues and cause inflammation. Surgery may be needed to treat this if anti-inflammatory have no effect. Other risks include infection (antibiotics are given when the surgery takes place to try to prevent this and 'clean air' ventilation systems are used in NHS operating theatres); blood clots (specialist stockings, exercises and medication can help to prevent and treat this), and stiff joints (medication and radiation therapy can be used to prevent and treat). You will usually stay in hospital for between a week and ten days. Although strenuous exercise is advised against, gentle exercise is recommended to prevent deep vein thrombosis, joint pain and stiffness, increase muscle strength and flexibility and improve cardiovascular fitness. You will usually be allocated a physiotherapist who will advise you on recovery and aftercare. His or her advice is crucial to avoid problems further down the line, especially dislocations. You may also be given an occupational therapist to offer more advice. If you experience any redness, fluid or pain in the hip area, you should make an appointment to see your GP. Avoid bending or twisting your hip. For this reason, you should avoid crossing your legs and lying on your side. You may also want to invest in a raised toilet seat and higher chairs as sitting in low seats is best avoided. As you can see, having a hip replacement or hip resurfacing requires you to change your lifestyle to avoid complications and corrective surgery in the future.